When will be Revelations (US) next episode air date? Is Revelations (US) renewed or cancelled? Where to countdown Revelations (US) air dates? 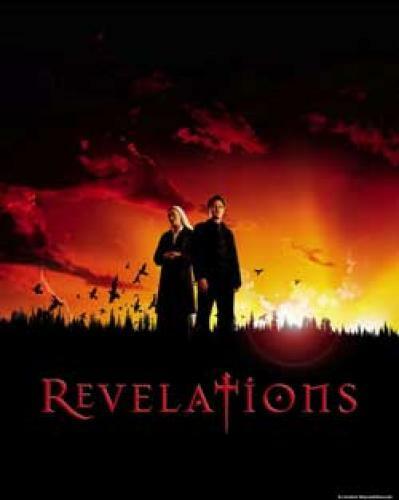 Is Revelations (US) worth watching? From executive producer Gavin Polone (“Panic Room”) and writer/creator David Seltzer (”The Omen”), comes this six-hour event series starring Bill Pullman (”Independence Day”) as Harvard professor Dr. Richard Massey, an astrophysicist whose certainty that all worldly events can be explained by Science, is challenged by a nun, Sister Josepha Montafiore (Natascha McElhone, “Solaris”), who leads him on a journey through the unfamiliar world of faith. Drawn together by personal tragedy, these unlikely partners -- one who worships God and one who worships Science -- are propelled into a deepening mystery, finding evidence that the world, as predicted by The Book of Revelation, has reached The End of Days. The time of miracles is once again at hand -- both Heaven sent, and sent from Hell. Satanist Isaiah Haden (Michael Massee, ”24”) has answered the calling of his “Lord” to make certain the Armies of Darkness will triumph in the apocalyptic battle to come. Notable guest stars include John Rhys-Davies (”The Lord of The Rings”), Tobin Bell (”Saw”), Fred Durst (lead singer of the rock band “Limp Bizkit”) and Mark Rendall (”The Interrogation of Michael Crowe”). The pilot was directed by David Semel (NBC’s “American Dreams”), the series directed by Academy Award-winning producer Lili Fini Zanuck (”Driving Miss Daisy,” “Rush”) and Leslie Linka Glatter (”Law & Order: SVU”). “Revelations” is produced by Pariah. EpisoDate.com is your TV show guide to Countdown Revelations (US) Episode Air Dates and to stay in touch with Revelations (US) next episode Air Date and your others favorite TV Shows. Add the shows you like to a "Watchlist" and let the site take it from there.